Photo: Nate McMullan, Climbing Wall Services. Rope access, OSHA, Work at Height, Work Positioning, Fall Arrest System; these terms are now showing up in conversations about routesetting and the implications of how they impact professional and part-time routesetters are becoming an important topic in the world of setting. A paradigm shift is taking place as setters begin to realize they aren’t just climbers with cool tools, but rather professional ‘high access technicians’ that also happen to be climbers. New schools of thought and training are bringing ideas such as releasable anchors and rescue plans into climbing gyms. One company that is pulling climbing gyms into the work at height world is Petzl, which has always had one foot in the professional/industrial world and one in the recreation/climbing world. With the help of the Climbing Wall Association, Petzl has begun leading rope access courses for climbing gym operators. These classes, along with an increase in awareness from the setters themselves, are bringing new skills and new tools into the climbing gym. The Petzl GriGri is as ubiquitous in a routesetter’s tool kit as it is at the sport crag. Since its inception, the GriGri has been the go-to tool for work positioning while on rope, allowing the setter to work “hands-free”. The ease of use and the fact that the GriGri is already used in climbing gyms on the customer facing side makes it by far the most popular setting tool across the country, and perhaps the world. There’s only one problem. 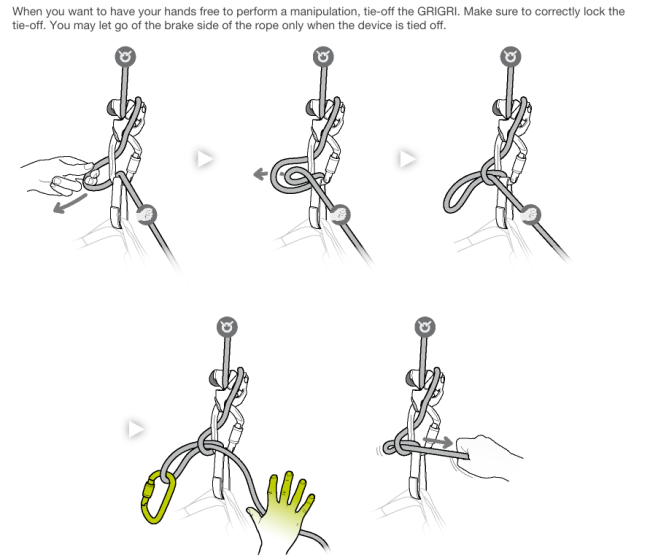 The GriGri is not designed as a hands-free device. “The way the GriGri is used for routesetting is what we would consider a misuse of the product,” said Rick Vance, Technical Director for Petzl. While using the GriGri setters often tie a stopper knot every ten feet or so to prevent a ground fall if the rope was to become unweighted and the setter started to free fall, which can happen while setting. (However, it’s also not uncommon for routesetters to skip this safety step.) Though these knots will most likely keep a setter from hitting the ground in the case of a fall, it is still not technically approved by Petzl or by the Occupational Safety & Health Administration (OSHA). According to OSHA any free fall while working suspended must be under 2 feet, which would require a tie-off knot every two feet. Vance told CBJ that Petzl recommends tying off the GriGri right at the device for a no-fall potential. This is rarely, if ever, practiced by setters and is quite inefficient for a setter that is constantly moving up and down their rope. The GriGri and other “assisted braking” belay devices, such as Trango’s Cinch, are amazing tools for climbers. But the problem for setters and gym owners is that neither are designed for hands-free use and could land a gym owner in hot water if there was ever a workers comp claim or lawsuit. 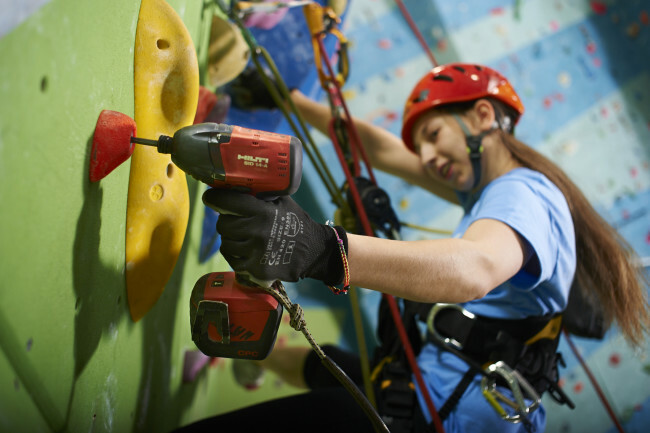 If climbing gyms continue to use assisted braking devices for routesetting it’s important that all routesetters are trained the proper way to ascend the rope and which knot techniques to use. It’s also important to document the training that setters go through; the old saying, “If it’s not written down, it doesn’t exist” is very relevant in this realm. There is an alternative to using an assisted braking device contrary to manufacturer’s recommendations. A tool that allows routesetters to work on rope on a piece of gear that allows the user to use both hands for work. The Petzl Rig and others like the CMC Sparrow, are designed for hands-free positioning. Classified as descenders, but can be used for both ascending and descending, these tools come with a simple lever that “locks” the rope without the need for tie off knots. When shopping look for the European certification for locking devices: EN 12841 type C (the GriGri doesn’t have it). Routesetters are quickly coming to the realization that working at height is serious business and gym owners are getting clued in to the liability of having workers dangling from ropes 40 feet off the ground. Not to mention the dangers lurking behind the wall! Setters such as Ward Byrum, Head Setter at Earth Treks in Maryland have already made the switch away from the GriGri. “I saw nothing wrong with the GriGri but once I switched to the Rig it changed my expectations,” Byrum told CBJ. Byrum didn’t so much list the safety merits of the Rig as much as its efficiency and comfort. “I find it is a lot smoother for both pulling slack and lowering. The wider, longer handle is amazing for lowering with the extra weight of setting buckets. So basically the Rig is superior in every way,” Ward said. Many setters CBJ talked to for this story shared this sentiment. ‘Why change when there’s been no accidents?’ Indeed, setters have a very good track record when it comes to accidents and incidents. And setters, like most climbers, have a high risk tolerance when it comes to falling, which is why routesetters have been comfortable using gear designed for belaying for rope access. The change that is creeping up on the industry may not come from setters, who love their fast and light equipment, but from owners and managers who have a low risk tolerance when it comes to keeping their employees safe and out of the court room. But setters should not turn their nose up at the new wave of rope access techniques. Most new access gear is more comfortable and efficient than what they’ve been using anyway. The cost is higher than other climbing gear, but it’s still cheaper than a hospital visit and less burdensome than a lawsuit. OSHA requires that employers determine if PPE — such a ropes, harnesses, and ascender/decenders — should be used to protect their workers from a fall. PPE for working at height is pretty obvious yet many gym employers still do not provide PPE for their setters and hardly any provide training on how to use it properly. 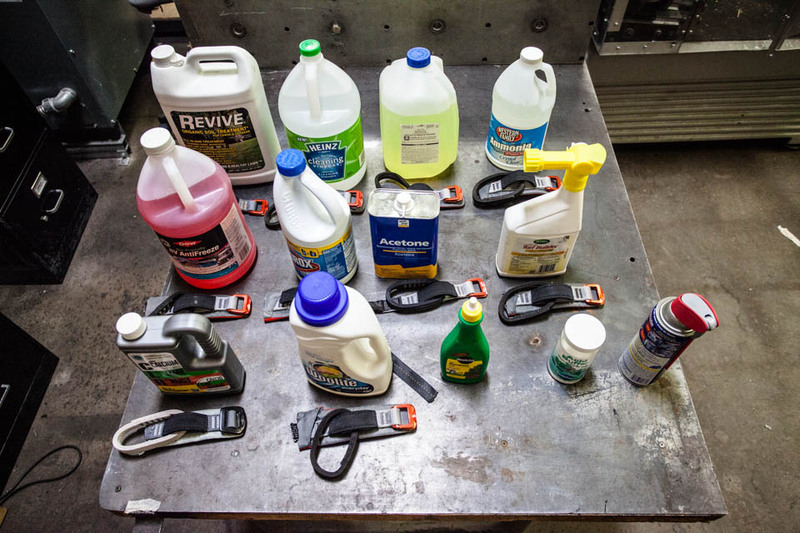 By law, employers are also required to monitor and track the condition of the PPE used in their facility. This means keeping a log of when the equipment is used and when it is examined for damage and when it’s time to retire it. 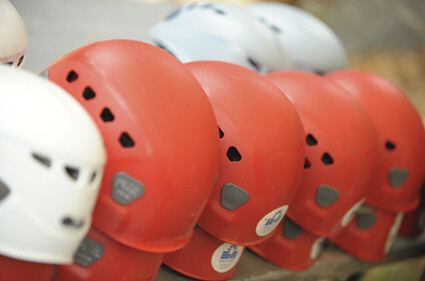 Helmets – Especially for workers on the ground. Eye and Ear protection – To keep setters out of the ER to get rusted metal shards ground out of their eyes and to prevent long-term hearing loss from prolonged exposure to noisy impact drivers. Full body harness – Standard in high access work but disdained by climbers and setters. They’re surprisingly comfortable and makes rescue much easier and safer. Rope access training is less about access and much more about rescue. Any employer that has staff working at height or in confined spaces is required to have a rescue plan. A rescue plan can be as simple as calling 911, but gyms should make sure that the local responders have the skills and equipment to perform high angle pick-offs. A friendly visit to your nearest fire station may be in order. Rescue plans for setters working in the front of your wall can be quite simple but will require training; These systems are called releasable anchors. They allow a dangling unconscious person to be lowered from the ground by an employee. Our Canadian friends adopted this years ago! Rescue plans behind the wall require a bit more preparation but can be quite simple with the right gear and planning. As with all rope access and climbing techniques, gyms should get professional instruction before attempting or implementing.